“Second Civil War Or ‘Holy War’? 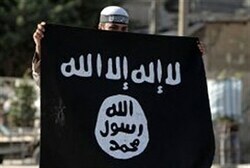 – Report: Syrian Rebels Unite to Fight Al-Qaeda-Linked Group – I Am Not Ashamed Of The Gospel Of Christ! My Comment: It is being called a ‘Second Civil War.’ This couldn’t be farther from the truth. I will put a video at the end that proves what this is about. It’s about a ‘Holy War’ to form a new caliphate. These fighters are not only from Syria, they are from Iran, Iraq, and Lebanon. That’s what this has been about all along. To fundamentally change the dynamics of the middle east. Only instead of that they have started a ‘Holy War’ between the factions of Islam. We have been dragged back into the 7th century. Saudi Arabia is aware of this and are extremely upset. Obama said the chapter in Iraq was closed, war was ended, and Al-queda was decimated. Well it’s not. Iraq has been on fire since the day we left, and Al-queda has been growing in numbers and strength. It’s the old ‘The enemy of my enemy is my friend’ theme. And the belief that Islam will rule the world. And with the new peace deal, Israel will be caught right in the middle with these people on every border, and she will have her security decimated. (Excerpt From Israel National News) Three powerful rebel alliances have taken on fighters of the Islamic State of Iraq and the Levant (ISIS) during two days of fierce combat in Aleppo and Idlib provinces that Syria’s main opposition National Coalition said it “fully supports,” according to the news agency. ISIS is one of several jihadist rebel groups operating in Syria and which at one point split off from the Western-backed Syrian National Council opposition force, declaring Aleppo to be an independent Islamist state. Since that time, a second civil war has begun in war-ravaged Syria and now, in addition to fighting the Syrian army, the more moderate rebel groups and the Islamist extremist groups are also fighting each other. In addition to its involvement in the Syrian war, ISIS seized the city of Fallujah in neighboring Iraq on Saturday, and claimed a suicide bomb attack in a Beirut stronghold of Hezbollah, the movement fighting alongside Assad\’s forces. Syrian Rebels Unite to Fight Al-Qaeda-Linked Group – Middle East – News – Israel National News. Here is a video about the fighting in Iraq close to the Syrian Borders, it states their goal of creating a caliphate from Iraq to Syria. Here’s another piece to the ‘Holy War’ puzzle, this is from Wikipedia, I know some say Wikipedia is not accurate, but I have found it to be just the opposite. You need to understand what’s happening in the middle east, and if you peel the layers back one at a time, you begin to see. The Umyyad caliphate was based in Syria, and it was the second of four major caliphates. It also covered almost 6 million square miles, and it was the largest empire the world has seen yet! And the fifth largest ever to exist! The Umayyads were overthrown in 750 by a new dynasty, the Abbasids. The first Abbasid caliph, As-Saffah, recruited Shia support in his campaign against the Umayyads by emphasizing his blood relationship to Muhammad’s household through descent from his uncle, ‘Abbas ibn ‘Abd al-Muttalib. The Shia also believe that he promised them that the Caliphate, or at least religious authority, would be vested in the Shia Imam. As-Saffah assumed both the temporal and religious mantle of Caliph himself. He continued the Umayyad dynastic practice of succession, and his brother al-Mansur succeeded him in 754. Shia sources further claim that by the orders of the tenth Abassid caliph, al-Mutawakkil, the tomb of the third Imam, Hussein ibn Ali in Karbala, was completely demolished,[ and Shias were sometimes beheaded in groups, buried alive, or even placed alive within the walls of government buildings still under construction. I hope by now your beginning to get a picture of the war in the middle east. It is not ‘The Syrian Civil War.’ It’s not the war against terrorists. It’s a ‘muslim civil war’ a ‘Holy War’ that has been ongoing since mohammed. It only takes a turn when it wants to fight against the ‘Jews’ or the ‘People of the book’ for power, otherwise they will continue to war with each other for control of the world (Caliphate). This next and last video was published a year ago. And it brings us to the current war and the wests interests. And looking back over the last year, you can get a clear picture of why the west is smack in the middle of a ‘Holy War.’ Also brings to light the prophecy in Revelation 17. The woman riding the beast. Watchman’s Update: US, Iraq, and Iran Allies? All-out war in Lebanon | 'I Am NOT Ashamed of the Gospel of Christ!